The team at FunAir are pumped up, pardon the pun, for the upcoming Dubai Boat Show where they will have a demo climbing wall for adrenaline-seekers and inflatable chaise loungers for those seeking relaxation while catching some rays. FunAir is experiencing incredible growth and success in the United Arab Emirates’ (UAE) superyacht market. Recently, FunAir shipped two of the worlds tallest inflatable climbing walls ever made to the UAE while consecutively overseeing production of several more that were destined for high-profile clients in the same region. 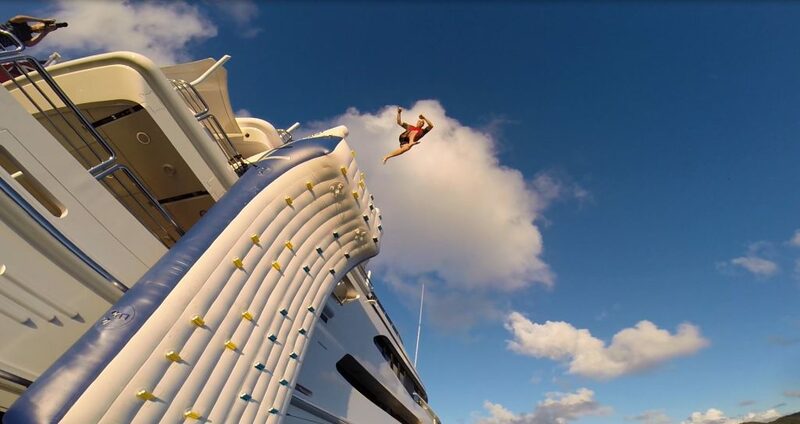 Climbing Walls have become the latest ‘must have’ product and was the top choice for crew surveyed at FLIBS in 2015. At 10 and 12 meters respectively, each wall has best in class safety features. Their patented RapidFlate system inflates and deflates the product six times quicker, making the product easier for crew to manage. The inflatable climbing wall was one of the first products added to FunAir’s portfolio in 2013. Leaders in safety (and of course fun!) FunAir installed auto belay anchors on the tallest walls and unique handholds that make the wall significantly more user-friendly than other climbing walls on the market. The ergonomically designed chaise loungers are also included on the FunAir Floating Island, which is debuting in the UAE at the Dubai International Boat show. Designed to float near by or attach to the yacht, the Floating Island provides ample space for up to six guests to float safely and comfortably on the ocean. Of the features included in the Floating Island, the chaise loungers that can be removed for beach use will be on display in Dubai to give owners and crew a taste of what to expect from the ultimate private oasis. This year’s Dubai Boat Show marks three years running for the FunAir team to have a presence at the show, and comes on the heels of a hugely successful 2015. Come see the FunAir team at the Dubai Boat Show at booth L-180 in the Marine Luxury & Lifestyle (MLL) pavilion. To speak with one of FunAir’s Yachting and Marine Specialists email yachting@funair.com or call +1 512-593-5133 to arrange an appointment. Consider this: you’re a superyacht captain and you have an urgent need to fill a position. You’re currently busy running a charter in the Caribbean and you need someone to fill the position as soon as possible knowing you want the ‘best fit’ for your crew. You need to follow a fair crew recruitment process but within the shortest amount of time possible. And your candidates are more than likely spread across the globe – after all, that’s the nature of the industry. Sound familiar? In this situation you’ve got not only the logistical challenges of physically being in different parts of the world but you need to communicate across time zones. While Skype calls can be successful, you still need to agree a mutually convenient time to speak and there is a real risk of connections dropping out. And let’s face it, flying candidates half away around the world for an interview is not only a timely pursuit but also an incredibly expensive one with flights often costing around €1000. So imagine if you could receive pre-recorded interview videos from candidates that you could watch when it suits you? Think of it as video pre-screening that still gives you the opportunity to find your perfect crewmember yet works without you needing to be awake at the same time let alone in the same location. This is where TUV-Consulting comes in to offer a practical solution to your global crew recruitment challenges. You still determine the questions to be asked of candidates and, via the service that TUV-Consulting provides, you then receive short interview videos from potential candidates so you can assess their skills and personality. 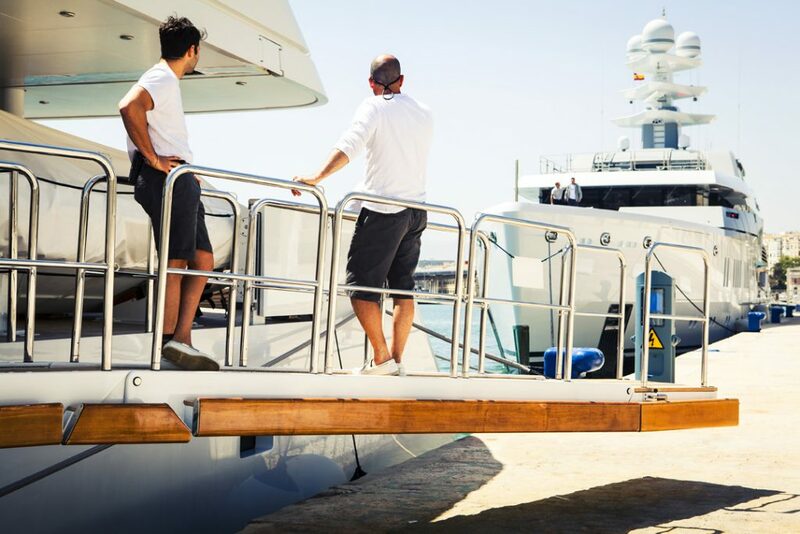 You will have secure access to a platform where you can video record or write your own interview questions and present your superyacht to make the position inviting for top crew. Via a link in an email, candidates can watch your video questions before recording their response. Proven to be 10 times faster than traditional interviewing, online video screening enables you to pre-screen applicants for their vacancies in a way that saves both time and money. Even better is that the process works effortlessly across time zones and, for interviewers and interviewees alike, only a 0.3mb upload speed is required, meaning everyone can record a response, even on a mobile phone or tablet with only 3G signal. Do you have questions? The lovely people at TUV Consulting would love to answer them and, if you have a spare few minutes, show you exactly how it works. 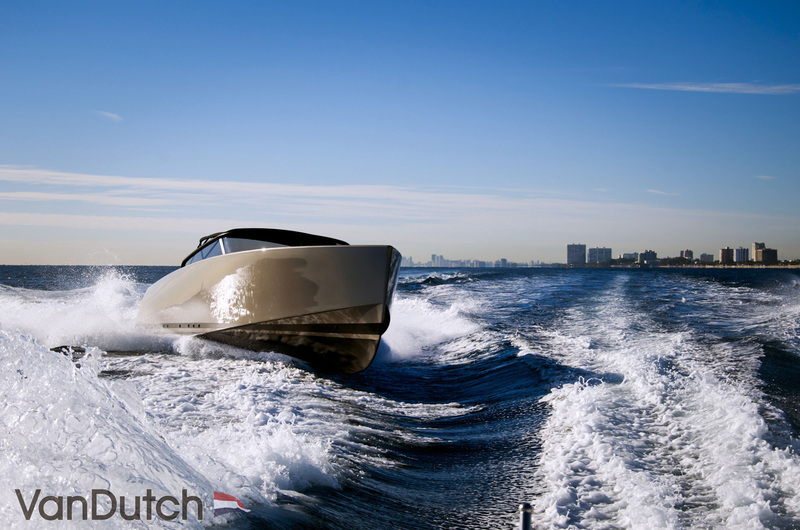 Global Superyacht Marketing client 212 Yachts adds four new VanDutch 40s to it’s already expansive fleet of luxury superyacht tenders and day boats available to charter on the French Riviera. Located in the heart of the superyacht action, 212 Yachts are the Cote D’Azur’s premiere provider of luxury and pristine superyacht tenders for hire, with the majority of their luxury tenders ideally located in Antibes and Cannes. The 212 Yachts in-water fleet has substantially grown in size over the last three years, and the company’s meticulous attention to quality and finesse has led to a fleet of vessels that truly embodies the Riviera values of elegance and luxury. 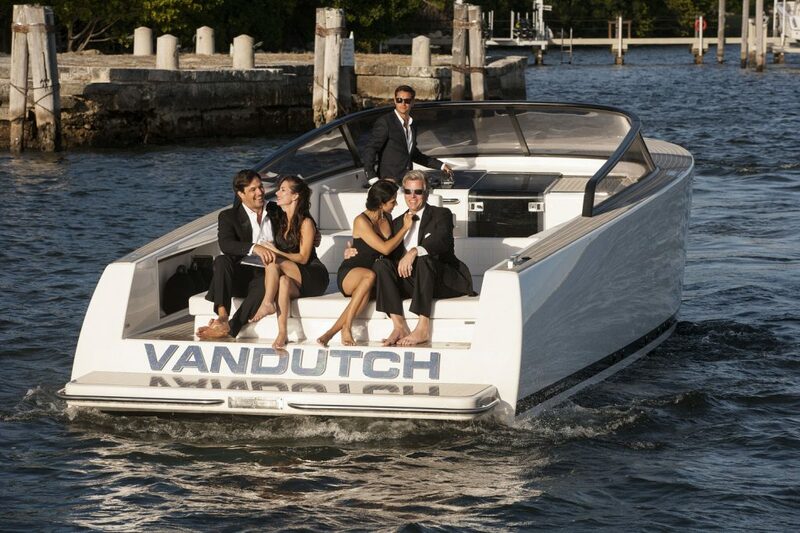 The VanDutch 40 is renowned for its delicious combination of unique flair and breathtaking performance capabilities, and as such is the perfect addition to the 212 Yachts portfolio. These stunning Dutch vessels will join the carefully curated catalogue of superyacht tenders that are on offer from the company, including Rivas, Wajer, Barracudas, Rapsodys and Wallys. The elegant big brother of the VanDutch 40, the 55, is also available to charter. In three seasons on the Riviera, 212 Yachts has earned a reputation for excellence in service. The company’s impressive ability and willingness to deal with last minute enquiries is becoming a talking-point among local captains, who know they can rely on 212 Yachts for late enquiries due to spontaneous clients or broken RIBs. The 212 Yachts team also offer larger charter yachts and day boats for hire on the Riviera. Extremely popular during high profile events such as the Cannes Film Festival or Monaco Grand Prix, they can be chartered for a few days or weeks and are sought after by corporate and private clients alike. To contact 212 Yachts call 0033 (0)6 71 13 62 59 or email info@212-yachts.com for more information.